Style Odita provides just enough lift but is still manageable to walk in. 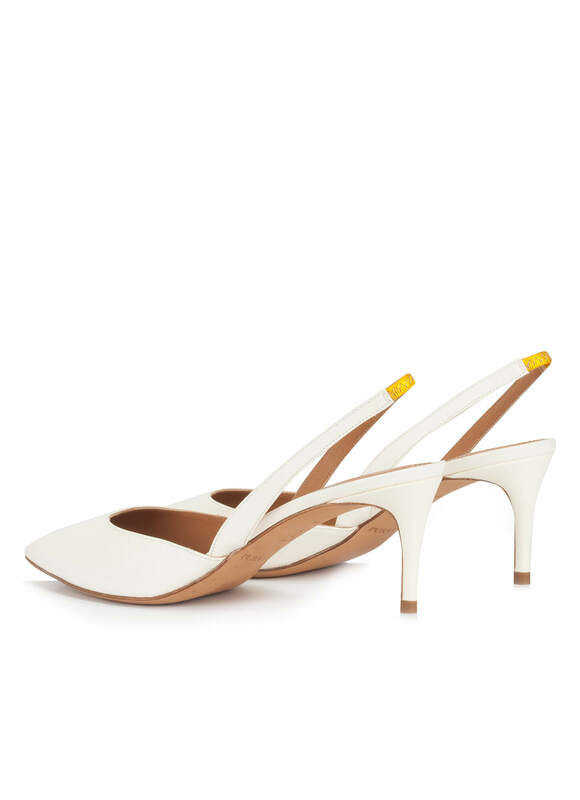 This pointed toe shoe is crafted from offwhite leather and is set on a 6 cms heel. 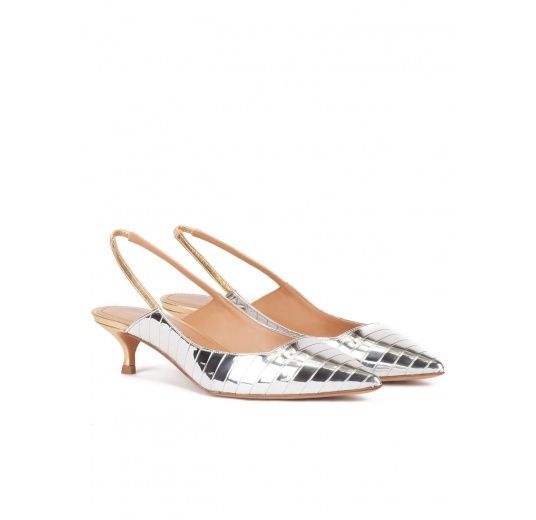 The elasticated slingback strap keeps the foot secure. 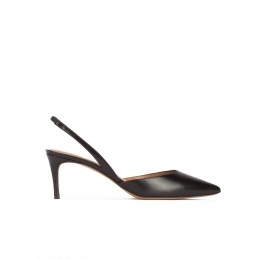 Mid heel measures 6 cm approx. 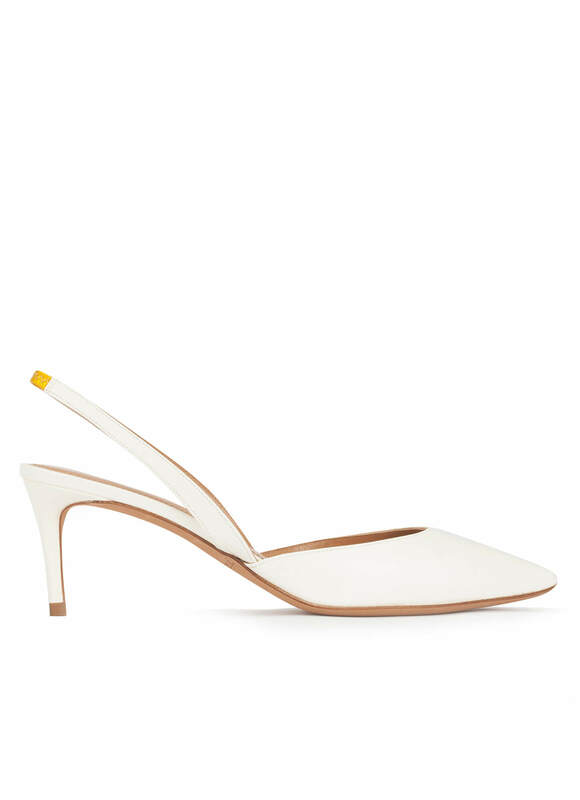 Reference: AO153 Capretto Off White.